by restoring traditional levels of healthy, Omega-3 oils in diets, and delivering it through high-consumption consumer categories. Our system aligns a proprietary feeding protocol for better animal performance while utilizing the current USDA protein supply chain to create certified Omega-3 consumer food products to improve consumer health. NB03 Technologies provides custom recommendations so you can make the numbers that matter the most. Fully supported by our staff of experts and state of the art testing facility, NB03 can help you by analyzing animal performance metrics and by getting the Omega-3 content of your livestock right - all tailored to meet your program needs. Supply chain partnership opportunities are available. NBO3 Technologies has invested in over 15 years of proven research, in partnership with one of our nation’s premier land-grant universities with expertise in beef cattle nutrition. This work with Kansas State University has validated and proven the efficacy of our proprietary feed system and premium feed. NBO3 Technologies, LLC is owned by H3 Enterprises, LLC (“H3”) whose members are the Hansen family and other strategic supply chain investors. NBO3 has been developing, validating, and expanding the reach of better-for-you feed and protein for over 15 years. NBO3 has developed an efficient first-to-market protein supply chain system that includes a proprietary feeding protocol for livestock resulting in better animal performance, meat and dairy products that taste better and are nutritionally better, including being high in the essential fatty acid, Omega-3. greatOFeed by NBO3 improves animal performance and productivity for a wide range of animals at all life stages of your operation. By delivering superior levels of Omega-3s to your animals and by boosting total Omega-3s, greatOFeed restores a natural balance of Omega-3 to Omega-6 fatty acids. greatOFeed is an easy to use performance fatty acid feed supplement added to your existing feed ration. We customize our recommendations based on your priorities to achieve the best Omega-3 and Omega-6 balance for your operation. 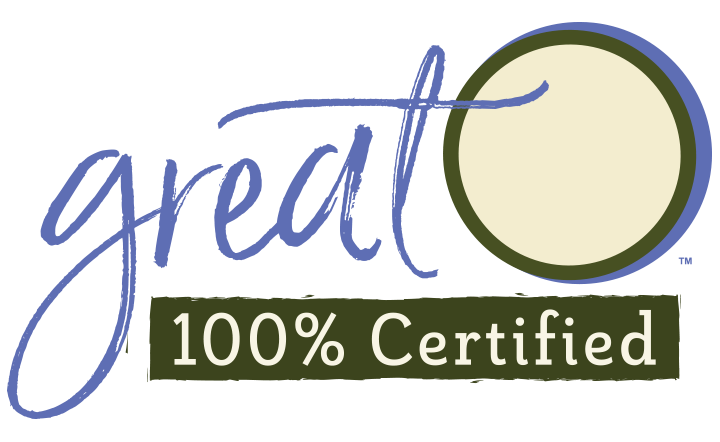 The 100% greatOCertified icon signifies that the products in this package have met our certification standards to deliver high levels of Omega-3s to improve animal performance and consumer health. Those standards include; Family Farmers, Fed a Nutritious Diet, and Raised Responsibly. We do all of this to ensure that you are receiving a nutritious, high-quality product that you can feel good about feeding your family. Healthy Animal Performance. Healthy You. Work with us to change proteins for good. Contact NBO3 Today.